GALLUP, NM — The Shallow Gallery, a micro gallery that shares space with the historic El Morro Theatre in downtown Gallup, will feature an exhibit by Klee Benally through the month of October. The show is titled "Avenging the Animas: An Eco-apocalyptic Agitation" and will feature new political works from Benally. What: "Avenging the Animas: An Eco-apocalyptic Agitation" art exhibit. Saturday, Oct. 8, 7pm - 9pm, Free. Where: Shallow Gallery, 209 Coal Ave, Gallup, NM. 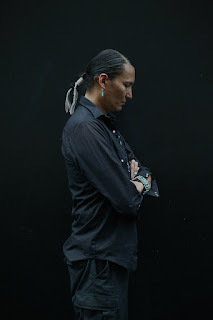 Who: Klee Benally is a Diné (Navajo) traditional dancer, anarchist, musician, & filmmaker. 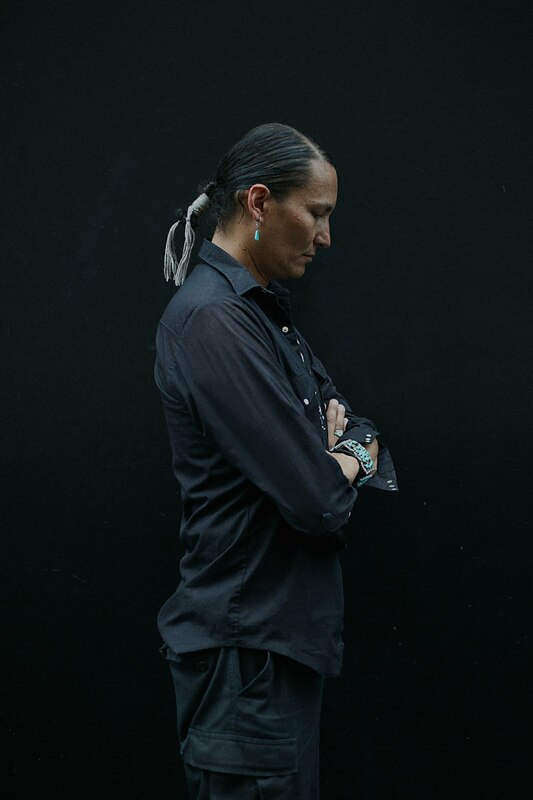 Originally from Black Mesa, Klee currently lives in Flagstaff, Arizona and works at the front lines in struggles to protect Indigenous sacred lands such as the San Francisco Peaks. He is currently the national coordinator for Clean Up The Mines!, a campaign to clean up abandoned uranium mines throughout the US. Exhibit description: The Environmental Protection Agency's violation of the Animas River by it's release of more than 3 million gallons of toxic waste from the Gold King Mine on August 5, 2015 severely impacted Indigenous communities. This work explores the consequences of resource colonialism and vengeance. The Shallow Gallery is a project of gallupARTS a nonprofit art council in Gallup, NM. Orion Walker is vice president of gallupARTS and has been managing the Shallow Gallery since April. Orion works with Allison Johnson to feature artists at the gallery space between and during ArtsCrawl which is every second Saturday of the month in downtown Gallup. Initially Orion covered all expenses for the shows out of pocket, but recently silversmith Harrison Jim has agreed to sponsor the gallery. Artists at the Shallow Gallery this year have included; Aversion Chee, Damian DinéYazhi, Bahe Whitethorn, Jacque Fragua, Randy Brokeshoulder, Monique Bedard, and Doug Miles with his children Rebekah and Doug Jr from Apache Skateboard Team. What has the EPA done to clean up from the Gold King Mine toxic spill into the ANIMAS RIVER ?? The EPA was practically taken over in some USA States, issuing blank check drilling permits or other development permits like building by wetlands. Has America woke up ?? "All in all you're just another brick in the wall".